Every year since its inception the Battle of Malta has set a new record for biggest poker tournament held on Malta. This year it’s already leaving those past records in the dust – and it’s only in the second day. With 1,855 entries this is already the second biggest Battle of Malta ever. The Main Event has almost already topped its €1m guarantee. And we’ve still got two more starting flights to come. With Day 1c tomorrow set to be the biggest day of them all, it’s a given the 2018 Battle of Malta Main Event will smash all records. This year’s winner should walk away with nearly €250,000 which, for a €550 buy-in is, well, astounding. The Battle of Malta has become a truly international affair and a “must-play” for poker players the world over. As we saw in the gargantuan field today players from dozens of nations have converged on Malta this week. Players from as far away as the United States, Canada, China and Australia were in the field alongside dozens of nationalities from across Europe. Emerging from that giant field with the Day 1B chip lead is Nikolajs Jalulins of the Netherlands with 683,000 chips. With a field that big and a reputation so strong (Battle of Malta won Best Low Buy-in Tournament at the 2015 European Poker Awards), it’s no surprise major talent both within and outside of poker have been drawn to the island. While past years have seen dozens of top flight poker pros hit the tables 2018 has taken things to the next level with Finnish high-stakes poker legend Patrik Antonius here to play alongside German tennis icon Boris Becker. The tennis Hall of Famer, who became the youngest ever Wimbledon champion at 17, played the Pink October Charity tournament tonight and nearly won it, finishing runner-up to Paul Jux-Holderness. 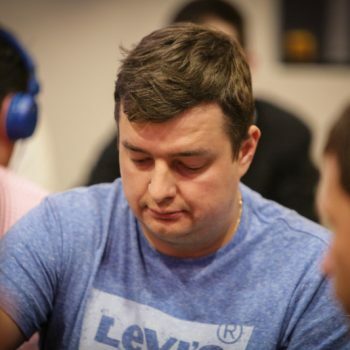 Holderness won the first seat for the 2019 BoM Main Event while €20,000 was raised for charity. Antonius jumped into the SnG alongside Becker when the first player busted but will again hit the tables in the BoM main event tomorrow. Things Get Even Wilder Tomorrow! As mentioned tomorrow’s Day 1C will be as crazy as we’ve ever seen here at BoM with up to 1,500 players expected. A turbo Day 1D is also on tap to pump the prize pool up even more. Is a 3,500-entry field out of the question? We wouldn’t count it out. Also still to come in the 6-day festival are 7 more side tournaments (including a Ladies Event), 2 player parties, ongoing cash game tables running alongside all the action in the Casino Malta and more impromptu social gatherings and bad beat stories than you can keep count of. To follow along with the daily live stream, hand updates from the tables and more, check out BattleofMalta.com until Tuesday, Oct 30 when the 2018 Battle of Malta champion will be crowned!